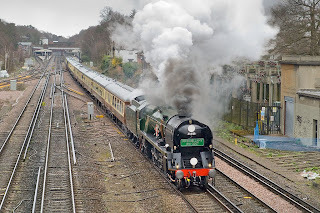 Having just crossed over from the down slow onto the down fast, Merchant Navy Class Pacific No.35028 'Clan Line' proundly displaying 'John Bellamy 1931-2007' powers away from Weybridge with 'The Southern Sunset' steam charter from Victorian to Salisbury, on a wet and bitterly cold Saturday 22 March 2008. 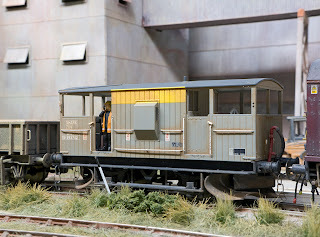 Posed on Cement Quay, a modified Hornby 'Shark' departmental brakevan, a recent release from the Margate company. Modifications include, door opened up (knife and glue job), weathering and the addition of a couple of Preiser orange clad railway workers. 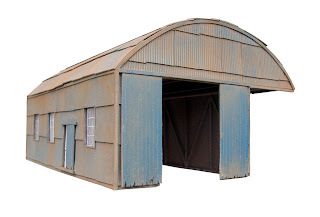 A recent shot of the new dried peat transfer shed on Catcott, my 5'00 x 15" '00' diorama/layout of Catcott Crossing which in my parallel universe turned into a halt with siding to serve the local peat works. The End of Printed Matter? Like many, in my world, increasingly far too much time is spent in front of a screen, be it a computer, mobile device or television. Despite this, people are frequently discussing whether the printed page will be around for much longer. For me, there's nothing like having a good read during the daily ablutions or sitting on a train from a device that doesn't need batteries - I don’t think I’m that unusual in this respect? Having a coffee with my wife whilst casually browsing through a paper magazine or newspaper, is somewhat more sociable than reading a virtual version of the same thing on a laptop. We're all different and have differing needs I suppose, and because of this there is an increasing requirement for electronic versions of their favourite printed media for those anti social desk tied animals. So, back to the question, does this mean that printed media will die out? No, my feeling is that there'll always be a place for the printed page for a long time yet for reasons already mentioned. To put this a different way, in the 1960’s, it was thought that we would be living under round or in ‘space age’ high rise flats, wearing space suits (the ‘shell-suit’ never did really catch on), popping food pills. Of course what happened is that people like to touch the past, they love their Victorian villas, they like organic food and nice traditional wooden furniture, olde worlde pubs, steam trains and country walks. What happened to the high rises? They’re pulling them all down and frequently replacing them with lower more traditional looking structures – well they are where we live! However, things do change, and in the long term of course publishers will have to embrace different and newer formats to run in parallel if they're to remain in business - like it or not. Whether an electronic clone of their current publication is the only route to take is another matter, with people increasing turning to the internet for breaking news, publishers may have to consider a more topical newsy downloadable or web version of their magazines. This would leave the printed magazine for less immediate stuff like 'layout features' and 'how to do' articles etc. The biggest problem ahead will be getting people to part with cash for similar material that may be free on another web page, this I fear will be tricky, albeit impossible. Sponsorship and advertising may be the answer along with a subsidy from the printed version. Something that could happen right now would be for publishers make back issues available electronically as a PDF (or suchlike) for download or CD for a slightly lower rate than a paper reprint. Like many no doubt, recently I had to recycle dozens of magazines simply due to lack of storage - which is such a shame.